Kale has become extremely popular, notably for its health benefits and with that popularity has come an increase in its price. So you might be wondering about growing your own kale but perhaps you lack garden space. What about container grown kale? Will kale grow in containers? Read on to find out how to grow kale in containers and other information on potted kale plants. Will Kale Grow in Containers? Yes, kale (Brassica oleracea) will grow in containers, and not only that, but it’s easy to grow your own potted kale plants and they don’t need much space. In fact, you can grow one or two kale plants in a pot along with your annual flowers or perennials. For a bit more drama, you can add colorful Swiss chard (Beta vulgaris) into the mix for another supply of healthy greens. If you comingle the kale with other annuals and perennials, be sure to use those that have the same requirements in light, water, and fertilization. 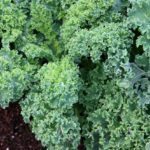 Kale is a biennial, cool weather crop that will grow in a container year round in many regions, except during the hottest part of the summer. Kale is suited to USDA zones 8-10. Choose a sunny location for the container with at least 6 hours of direct sun when growing kale in pots. Kale plants require rich, well-draining soil with a pH of 6.0-7.0. Choose a pot with a diameter of at least a foot across. For larger containers, space the plants 12 inches apart. 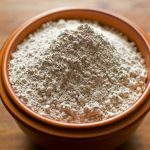 Use a good quality potting soil (or make your own). You can directly seed after all danger of frost has passed for your region in the spring or you can plant seedlings. Although kale needs sun, it can wilt or die if it gets too much, so mulch around the base of the plants with straw, compost, pine needles or bark to retain moisture and keep the roots cool. Keep the kale watered with 1-1 ½ inches of water per week; the soil should be moist down to an inch into the soil. Since potted plants dry out faster than those in the garden, you may need to water container grown kale more often during hot, dry periods. Fertilize with a tablespoon of 8-4-4 water soluble fertilizer mixed into one gallon of water once every 7-10 days when growing kale in pots. If you notice mites or aphids on the plants, treat them with a topical insecticidal spray. Pick off any caterpillars. Spray the kale with Bacillus thuringiensis at the first sign of cabbage moths or worms. To protect the kale from harlequin bugs, cover it with tulle (fine netting). Sprinkle the surrounding soil with slug and snail bait, diatomaceous earth or set up a slug bait of your own making because you’re going to need it! The slugs love kale and it’s a constant battle to see who gets the most of it. Harvest the kale from the bottom of the stalk upward, leaving at least four leaves on the plant for continuous growth. If you have planted the kale in amongst other decorative, flowering plants and this looks unsightly to you, remove the plants and reseed or tuck in new kale seedlings.